Building a successful and knowledgeable credit control department isn’t easy. As well as having the experience and skillset to do a good job, credit controllers also need to have the right mindset to ensure they aren’t deterred by setbacks and possess the motivation to improve. We’ve identified 11 things that successful credit controllers will do – but unfortunately not every credit controller is the same. How many of them do you see in yourself or your credit control team? A good credit controller will recognise the importance of continually learning new and innovative ways to maintain and improve current processes in their work. Not only will this make life easier for them in the long run, but it will boost overall business performance due to the likelihood of funds being collected more efficiently, leading to wider availability of funds for re-investment. A credit controller who thinks they know it all, on the other hand, will find it hard to considerably improve their performance due to the limitations their attitude constricts. Upholding negative and closed values will eventually lead to a cycle of unhelpful and unproductive habits. Here’s a blog looking at how technology has made credit control easier. Everyone makes mistakes, but good credit controllers will accept this and recognise that no-one is expected to be perfect. Taking chances, falling and getting back up stronger than ever before has more of a positive impact than being frightened. The important thing is to learn from mistakes and ensure they don’t happen again. It’s not just mistakes that the best credit controllers brush off, either. Credit control is hard work and there will inevitably be set-backs – you just need to have the confidence be persistent and the results will come. 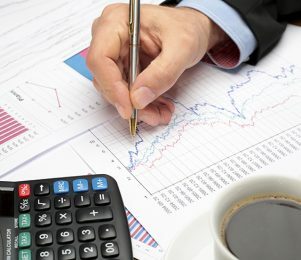 In order to safeguard the future of a business, keeping cash flow forecasts up to date can give you an indication as to what may happen months down the line and help to spot potential problems before they arise. Successful credit controllers know this and, even if they aren’t directly responsible for updating forecasts, they will be great at making those who are aware of any payment delays. This makes forecasting more accurate and gives management the time they need to adapt their strategy to reflect cash flow turbulence. Credit controllers that underestimate the importance of cash flow can leave your business unable to avoid hitting gaps in cash flow, potentially causing sticky situations and unwanted stress. Read why your cash flow forecast is never accurate. The most important relationship a credit controller can have is with your business’s customers. Having a good rapport with those who pay you can go a long way to your company getting paid on time, helping to push your invoice to the top of the list and encouraging them to pick up the phone should any potential issues arise. It will also play a big part in securing repeat business from that customer. Good manners and being confident on the phones are key to this for any good credit controller, even more so when a payment deadline might have been missed. The worst credit controllers are too focused on getting paid to care about what the customer may think about your conduct. While securing payment may be their ultimate responsibility, there are different ways to achieving this and the bigger picture can’t be missed. Being aware of your own strengths and weaknesses is an important part in any role, but, for credit controllers, there are some cases where time is of the essence. Putting the needs of the business before their own and asking for help is a sign of strength, not weakness – and is respected. If a credit controller decides to continue without confidence or assistance from someone else, the consequences may take twice as long to reverse and money could be lost. Due to the importance of the role, ensuring all decisions are based on best practice and adhere to core company values is paramount in maintaining happy clients and a healthy cash flow. Whether it’s during the credit period or after, the best credit controllers stick to the company’s credit policy and the processes and procedures that documents. Following a structure that’s based on best practice and the company’s experiences can be hugely productive. This should include the key times to contact customers and also how to deal with any cases where the payment deadline has been missed. Poor credit controllers will go off-piste and try new things on a gut instinct. While this can deliver results, it shouldn’t be encouraged and it’s difficult to learn from what approaches do and don’t work. All well prepared businesses will know that credit checking a customer before agreeing to trade on credit terms will inform them of any red flags to take note of before the sale is agreed. From a business owner’s perspective – no matter how good the enquiry is – if the customer has a bad track record of payments then there ought to be no deal. This doesn’t just stop at new customers, however, as often a customer’s credit rating can change. Good credit controllers will ensure credit checks are performed on every customer, even if they’re a long-standing customer. If checks are not made, this could potentially fly under the radar and cause problems later down the line when the customer won’t pay. Take a look at some of the pros and cons of credit reports. Regardless of the size, credit controllers should chase every overdue payment and not concentrate all their efforts on a single invoice. 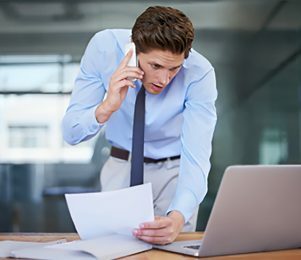 Maintaining frequent and persistent contact with late payers and ensuring they are aware of the infringement stands your business in the best position to be paid. Making a note of these people and considering the value of repeat purchase should be considered before supplying again. As a business, there is no need for you to have to accept being paid late for the services you provided. Permitting this to happen will inevitably open the flood gates for more of the same behaviour. Therefore, to ensure it doesn’t, be mindful to apply your credit control policy to every customer who pays late and try not to have any exceptions to this rule. If followed correctly in a firm, yet friendly tone, far from alienating them this will encourage respect from your clients. Despite even the best credit controller’s hardest efforts, there may come a time where chasing payment is taking up too much resource, and it would be beneficial to outsource the debt to an experienced collections agency. This will enable the business to carry on as usual, safe in the knowledge that the overdue debt will be recovered, but credit controllers need to know when to admit defeat. The thing to remember is that spending time chasing older invoices will eventually begin to mount up over a while and detract attention away from others. Eventually, the knock-on effects of not paying enough attention to what is happening currently may cause common practices like courtesy calls and invoice preparation to be overlooked, and when time is stretched, mistakes are easier to make. Successful credit controllers always stay one step ahead and create a stop list of poor payers to protect the business form further harm and save time by not needing to credit check that customer again. More often than not, a late payer will remain a late payer – so staying firm and refusing to supply these will safeguard your business against potential threat. 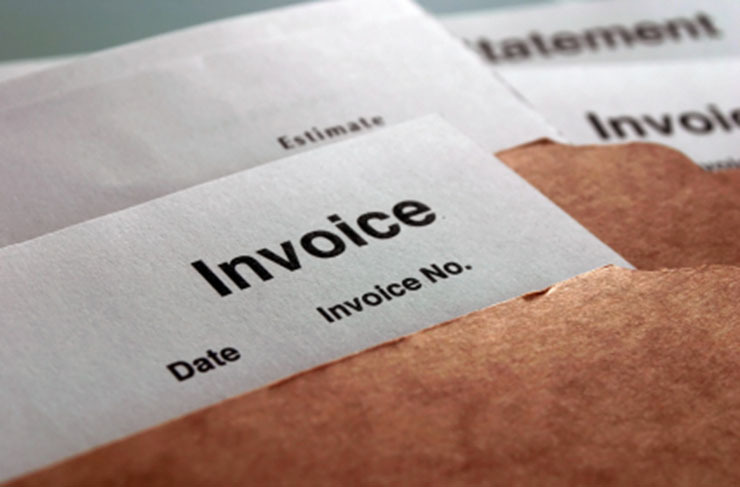 All good credit controllers know that businesses are entitled to charge late payment interest on unpaid invoices. As soon as the debt is classed as overdue, as a business you are permitted to charge an interest of 8% plus the bank of England base rate. 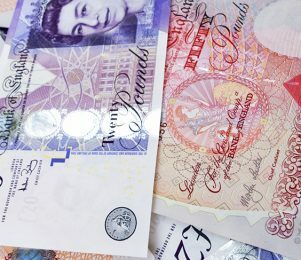 Interestingly, businesses are also able to claim debt collection fees between £40-£100, depending on the value of the debt. If you think you may be owed late payment interest, use our free instant calculator tool to find out how much. At the end of the day, evaluating how valuable a late paying customer is to your business should play a part in deciding the next steps towards claiming the debt. Remember, the amount owed is rightfully yours, so fearing what customers will think instead of collecting the money may do more harm than good over time to your cash flow. If your business is owed money that is proving to be tricky to collect, as an experienced collections agency we can help. If you would like to find out more, please call 0800 9774848 or email us at collections@hiltonbaird.co.uk. Have any more credit control tips? Share them below!